Holiday lights are truly one of the most obvious signs that Christmas is in the air. From fairy lights, lanterns to tapers and tea lights, those twinkling lights create a warmth and glow that herald that Christmas spirit! The best part of lighting your home for Christmas is that it you needn’t visit fancy designer stores. You can do it at home and have lighting that is unique and beautiful. 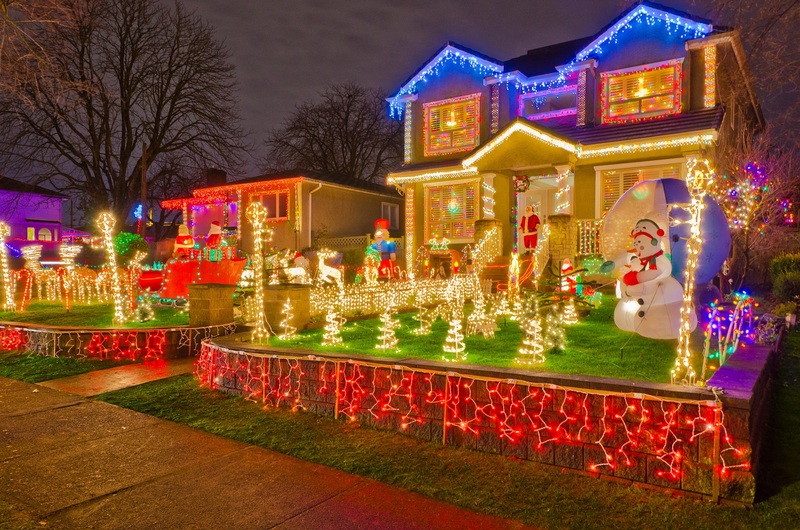 Here are some easy ways to decorate your home with lights in the most festive yet tasteful way. In large jars add fake snow and LED lights. On top of this, add a little nativity scene, a snowman, a house with a Christmas tree, pine cones and so on. If you have a chandelier, wrap it entirely with twinkling lights. Make a curtain of alternate strands of lights and strings of mirrors, shiny silver balls, pine cones, snowflakes…use your imagination to come up with more designs! If on a budget, take several paper cups and decorate them with streamers over a strand of lights. This gives the room a soft and serene look. Hang fairy lights on the wall and use clothes pegs to hang cards, photos and stockings. Use round wooden frames, copper wires or metal hangers to make the base for a wreath. To the frame, twist fairy lights all around firmly, leaving no gaps. Use many colors to add a little extra fun. Fill mason jars of various sizes with many strings of lights in clusters. These resemble lovely fireflies in jars. If you have or can get a hold of birdcages, place some holly or a small Christmas tree or snowman in the center of the cage. String the fairy lights randomly around the bird cage. If you have a balcony or window rails, wrap around twinkling lights over the entire rail. If your house has pillars, surround it with lights and holly. If you have white curtains, hang strings of lights behind the curtain to give it a starry appearance. Will Your Facebook Photo Land You a Job and a Date?